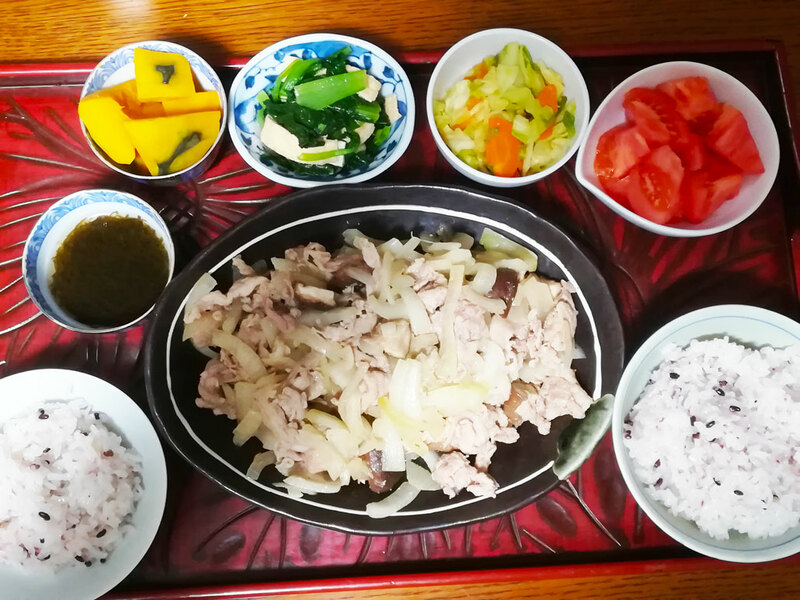 Today I had dinner at home. The black seaweed is what we call mozuku. Usually I eat it with vinegar. I often eat Japanese mustard spinach, too. They are healthy.